Taekwon-Do is a modern martial art from Korean. Taking it’s origins from ancient Korean fighting skills and karate, the late General Choi created a new, dynamic and scientific martial art, that from it’s begining in the early 1950′s to one of, if not the most practised martial arts in the world today. Taekwon-Do has much to offer everyone, from the complete beginner to the experience martial artist. Read below for more information on ITF Taekwon-Do and what it has to offer you. What is Tae Kwon-do? Translated literally, Tae Kwon-do means “Art of Hand and Foot Fighting”. It is more than that however. It is the scientific use of the body in methods of self defence, a body that has gained the ultimate use of it’s facilities through intensive physical training. It is a martial art. It’s discipline, techniques and mental training are mortar for building a strong sense of justice, fortitude, humility and resolve. It is this mental conditioning that separates the true practitioner from the sensationalist, content with mastering only the fighting aspects of the art. The name Tae Kwon-do as every student knows, did not exist until April 11 1955, when at a meeting of leading Masters, distinguished Historians and Politicians, General Choi Hong Hi, 9th Degree (1918-2002) pictured left, submitted the name Tae Kwon-do and the syllabus of his art. This was unanimously accepted and also received the approval of the Korean President. Therefore unifying the various Kwan’s such as Dong Soo, Gong Soo, Kwan Bup, Tae Kyon, Soo Bak, Kang Soo and others. Korea’s first known and historically documented system of fighting techniques were practiced and 600AD in the Silla Kingdom (Southern Korea). These ancient and primitive techniques were systemised into a style known as Soo Bak-Gi. This was shortly followed by Tae Kyon (known as the Korean Art of Foot Fighting) which was used extensively by early dynasties for recruiting and training their armed forces. It was during the Koryo Dynasty that it became a formulated system consisting of some 25 basic leg movements, which included leg and hand techniques as well as jumps, rolls and falls. However, these arts were to decline during later dynasties as an anti-military position was adopted. Further decline was to follow in 1909 when Korea became a nation occupied by the Japanese, who outlawed the practice of Tae Kyon along with many other Korean customs and traditions. Tae Kyon was only to survive due to the efforts of people like Masters Song Duk Ki and Han II Dong who would not let their heritage die. In 1933, a young General Choi was sent by his father to learn the art of calligraphy. His teacher was Han II dong, who since the occupation had practised his art (Tae Kyon) relentlessly but in secret. On seeing the small frail looking boy, Master Han decided not only to teach him calligraphy but also Tae Kyon. For the next few years General Choi was to practice Tae Kyon under the watchful eye of Master Han. Then in 1937 General Choi was sent to Kyoto, Japan to futher his education. While there, he studied Karate under a fellow Korean Mr. Kim attaining a 2nd Degree Black Belt. On returning to Korea during World War II, General Choi like so many of his countrymen was forced to enlist the Japanese Army, but while posted at Pyongyang he was implicated as a planner of the Korean Independance movement and sent to a Japanese Prison. While there he started to lay the foundation of the new art, teaching his fellow inmates. 1945 saw the end of the was and with it the liberation of Korea and the release of General Choi from prison. In January 1946 General Choi became a 2nd Lieutenant in the newly formed Korean Army. 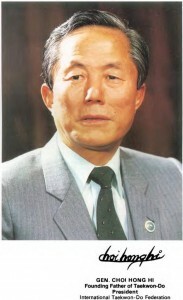 Later he was assigned to Kwang-Ju as a Company Commander. While there, he taught the whole company the foundation of the new art. On being promoted to 1st Lieutenant he was sent to Tae Jan where he not only taught Koreans but also American Troops stationed there. The next few years saw General Choi consolidating the basic foundations of Tae Kwon-do while pursuing his military career. By 1949 he had attained the rank of full Colonel and with it the opportunity to go to study at the Fort Riley Grand General School inn Kansas USA. While there he gave America it’s first taste of Tae Kwon-do. The years to 1953 saw General Choi organise the Korean Grand General School in Pusan. As Assistant Commandment and Chief of the Academic Department of 1952 he briefed General MacArthur on his visit to Kang Numg and at the time of the armastice he was in command of the 5th Infantry Division. In 1954 General Choi activated the 29th Infantry Division at the Cheuj Island and the Oh Do Kwon (Gym of My Way). While there, along with Major Nam Tae Hi, he was also commander of the Chon Do Kwan (Gym of the Blue Wave) which was the largest of the civilian gyms. April 11 1955 saw the Tae Kwon formally recognised in Korea. But this was only the beginning as General Choi was about to teach Tae Kwon-do to the world. The first thing to do when considering joining a martial arts programme is to determine what you hope to gain from the training. Everyone has a reason for their interest in the martial arts, and it’s important to know your options and goals so that you can really get the most out of your training and have a positive experience. We are all individuals, so have different aspirations and needs. When a parent is considering enrolling their child into a martial arts school, they have to consider both their motivation and the motivations of their child. In order for a child to learn to love and stick with martial arts training over a long period of time, they have to share common goals with their parents. If a parent’s goals aren’t being met, they may feel they aren’t getting their money’s worth. If a child’s goals are not being met, they will feel like they are being forced to train, and will never give 100%. Consider why you want your child to train, and have a talk with them about whether they really are interested in training, and what they hope to learn. 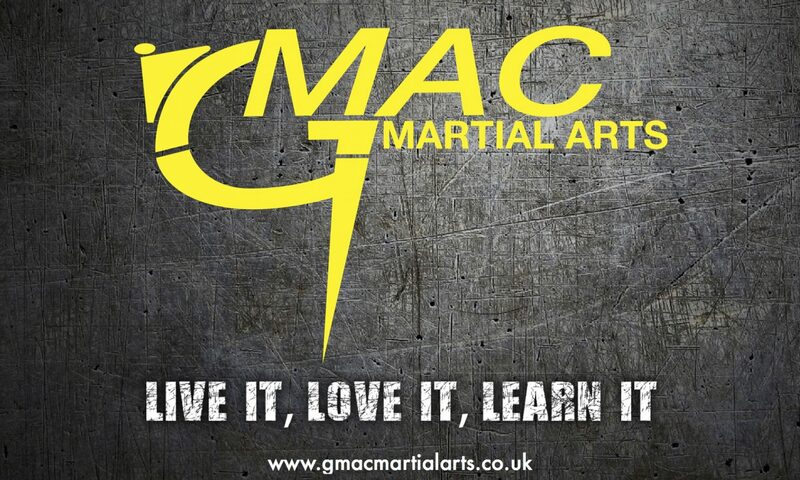 Main categories of martial art styles – striking, ground fighting or grappling, throwing, weapons based and low impact. Tae Kwon-Do can be simply categorized as a striking art which utilizes attack and defence techniques using hands, feet, elbows and knees. The extent of the style however, continues much deeper into the use of the body as a weapon of self-defence. Fundamental movements – patterns and demonstration kicking. Sparring – pre-arranged, free (single and multiple opponents). Practical Tae Kwon-Do Applications – using techniques in restrained and immobile situations against non martial art attacks. Cardio Training – pads, bags, circuits, flexibility training. Board Breaking – technique accuracy, conditioning, courage! Theory – learning the theory of Tae Kwon-Do techniques and philosophy. Gradings – advancement through grades. This separates senior from junior, student from instructor. Etiquette & Discipline – Martial arts is about courtesy to other students and instructors, and in return make better people and society. Who is interested in Tae Kwon-Do? Taekwon-Do is very popular in the UK and around the world because it is very inclusive. Anyone who wishes to learn the art can do so. Young or old, whatever your size or build, male or female – all can benefit from Taekwon-Do training. Children – Children enjoy Taekwon-Do training because of its high level of focused activity. They will develop increased physical coordination, discipline and concentration which carries over into their other activities at school and elsewhere. Taekwon-Do emphasizes hard work and courteous behaviour from students without sacrificing fun and enjoyable training. Behaviour Problems – Many parents turn to the martial arts when their children are acting up in school and at home. These parents are looking for help improving attention span, respect, demeanor and self control. The structure of our kids programmes can greatly aid in these areas, however results will vary and the key success to sorting out behavioral problems with martial arts, is with the parent supporting the instructor by extending the control philosophy of the academy at home. Weight Problems – Childhood obesity rates are climbing, and more and more children are spending a lot more time in front of the television, playing video games and using a computer. Even among more active children, martial arts is still attractive as it is a very good source of exercise that also teaches skills. Parents want their children to get involved in something that makes them set and follow through on goals. Martial arts can help improve cardiovascular endurance, flexibility, balance, strength and overall energy levels. The Bullied – Children who are being bullied and who’s confidence is low and life miserable. Many parents tell us that their child’s life has changed due to Tae Kwon-do training. They are part of a group who’s first rule is to be courteous to each other, stand by one another and never pick on the weak. These children are the ones who usually go on to become true Tae Kwon-do Blackbelts, as it gives them importance and a position to feel good about themselves. Bullies never pick on confident children. Confidence is believing in yourself and having a positive frame of mind. The Bullies – Parents who are aware of the problem, feel their children need discipline and an interest, have often turned to Tae Kwon-do for help. Once in class, Tae Kwon-do projects them into a world of disciplined competition, teaching them to defend the weak instead of abuse them. These children soon calm down and are fascinated that smaller polite children can do amazing kicks, jump high and learn Korean terminology. In class, the bullied ends up being the teacher to the bullies and turns the tables around. Women – Many women are afraid of walking alone and feel they need to be fit and be able to defend themselves. Some women have been in the position of being attacked or in a threatening situation at some stage in their life and this gives them a feeling of low self confidence. At this point they feel they need to change their outlook and they finally do something about it. Tae Kwon-Do can teach you to empower yourself with sensible, highly effective and easy to remember techniques, an essential life skill in today’s society. This will result in increased self confidence, improved strength, fitness, flexibility, co-ordination and help to lower stress levels. Men – As we now live in a more violent society, many people have either been involved in a threatening situation or been witness to one. Many men are concerned about safety, both their own and for their families. In some ways, they may feel reluctant to talk to others about this because of the social idea that they, as a man, are already supposed to be able to take care of themselves and their loved ones. Many people however, did not grow up in the circumstances where they would learn how to fight and so don’t have confidence in their natural abilities. Taekwon-Do can give you the confidence and ability to defend yourself powerfully and effectively along with increasing your strength and physical fitness. Mature Students – Tae Kwon-do offers physical and mental fitness to students who benefit with the fitness programme and the relaxation of healthy exercise. Our syllabus is such that those over 40 years of age, are able and encouraged, with the correct training, to promote to blackbelt. Disabled – Deaf and hard of hearing are very good at Tae Kwon-do as there is no verbal distraction. Tae Kwon-do can give them an equal place beside their contemporaries. Ethnic Minorities – Tae Kwon-do was founded by General Choi Hong Hi (1918-2002) to bring people of all cultures together. This it most certainly has done. Tae Kwon-do is practiced in over 100 countries. The 1994 World Championships had 78 countries competing and seminars and tournaments are organised to give students the chance to travel and visit other cultures.